On sad note to start this thread seven where killed in high-speed crash on part well it was only 50 mph; hopefully they found out why the train was speeding twice the speed limit. Hopefully the passenger and crew get better soon. 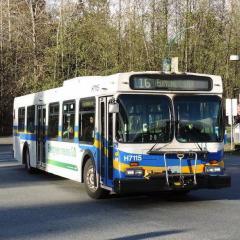 - The PTC system was manually bypassed for reasons unknown. Both scenarios though are intentionally ignoring the obvious driver error which caused the train to be going that fast in the first place. Other than that, there's not a lot to go by, other than there's no legitimate reason for train doing 107 mph on a stretch posted at 50. There is no PTC on that stretch of track. 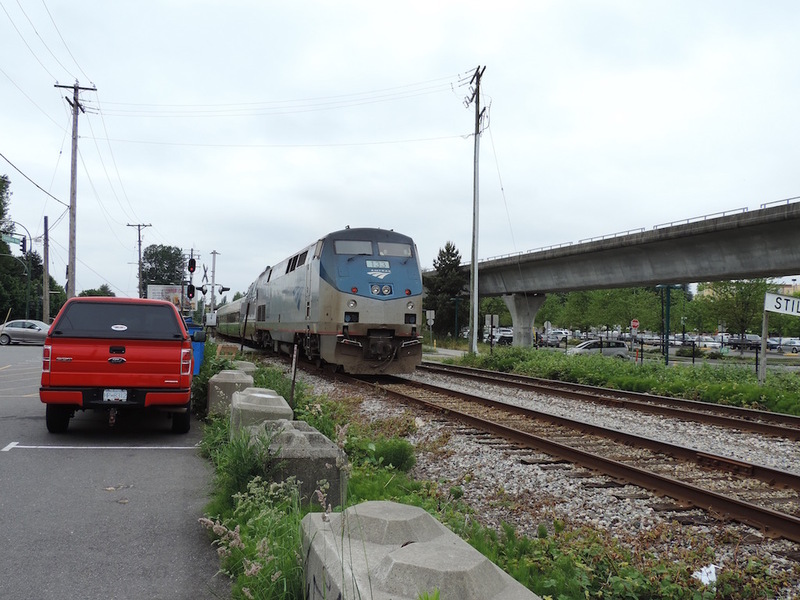 ACSES and the old PRR-designed pulse-code cab signalling system is active on the whole of the Northeast Corridor. But certain components - the ones that allow it to become a proper PTC system, rather than just a wayside signal-based backup overlay - have not been installed everywhere on the Corridor, including in the Philadelphia area. Part of the upgrade of the section between Trenton and New Brunswick is the install of these components and therefore the capabilities of a full PTC system, but I have no clue what they had in mind for upgrading the rest of the Corridor. hopefully they found out why the train was speeding twice the speed limit. Unfortunately, with the engineer already having lawyered up and no longer taking questions, I get the feeling that his phone records will show that this was a case of "distracted driving". One of the passengers killed on board that train is a Canadian. Abid Gilani was on the train when it went off the tracks. In other news related to this story, a crewmember reported a rock being thrown at the train before it derailed. Another Amtrak train and a SEPTA train were hit but something in the same area around the same time. No word if it was a rock. I heard that he could have had a health emergency that could have maybe speed up and forget what actually happened. And considering that Amtrak has already said that they had hoped to have the full PTC installation on the whole of the NEC by the end of this year, I fail to see how this will actually accomplish anything beyond the FRA making it appear to the general that they're actually doing something, and that they're not just a mouthpiece for the freight railroads. US congress had passed a law about twenty years ago limited total payout for liable for any incident to 200 million. Plus they don't even know what officially caused it yet! 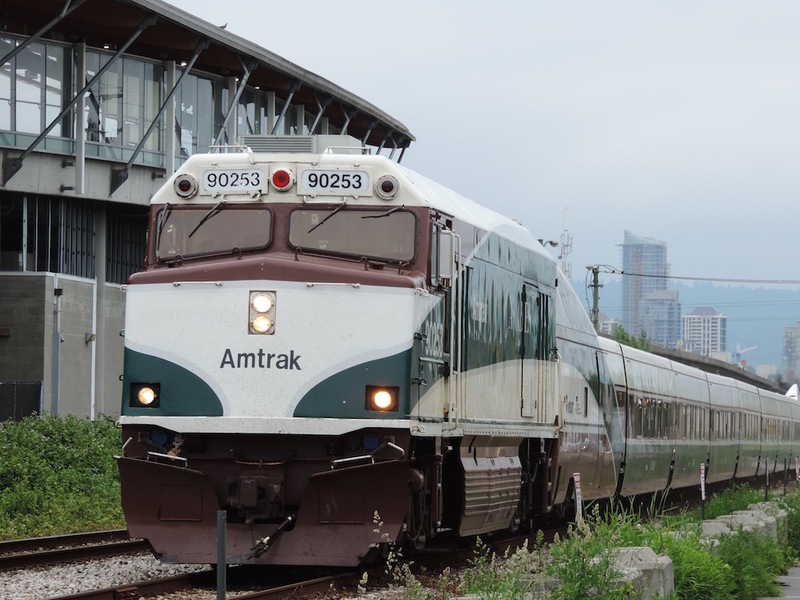 Metro Vancouver, BC gets way better train service from the American Federal Government via Amtrak Cascades compared the Canadian Federal Government via Via Rail with the Canadian. Interesting to see a Pepsi-Can behind 183, I haven't seen one of those for years. Actually the last one I saw was on the International as it left London for Chicago. Of course back then they were still in the Pepsi-Can scheme. A shame that Amtrak have to sub in Superliners while Talgos (the Wisconsin cast offs, which also lack a Business car) lie idle in Beech Grove awaiting a call to temporary Michigan service which is seeming more and more unlikely to come. Do you mean the 507? I know there is two of those engines are in Amtrak California fleet. The Viewliners have been around since the late 90's I believe in to form of Sleeping cars initially. I believe coaches and diners were supposed to come soon thereafter but were postponed due to funding. The diners and sleepers are coming after completion of the baggage order. Don't think that was the original plan but there seems to have been some hiccups with this order. If you're talking about the original Viewliners, there were 3 prototype cars built first by Budd in 1988 - two sleepers and a diner. They've been in and out of service for most of their lives, with the diner recently being refurbished and returned to service, and one of the sleepers recently being converted to a business car, "American View". Based on their experience of running the prototypes, 50 production cars were built by Morrison-Knudson in 1995. 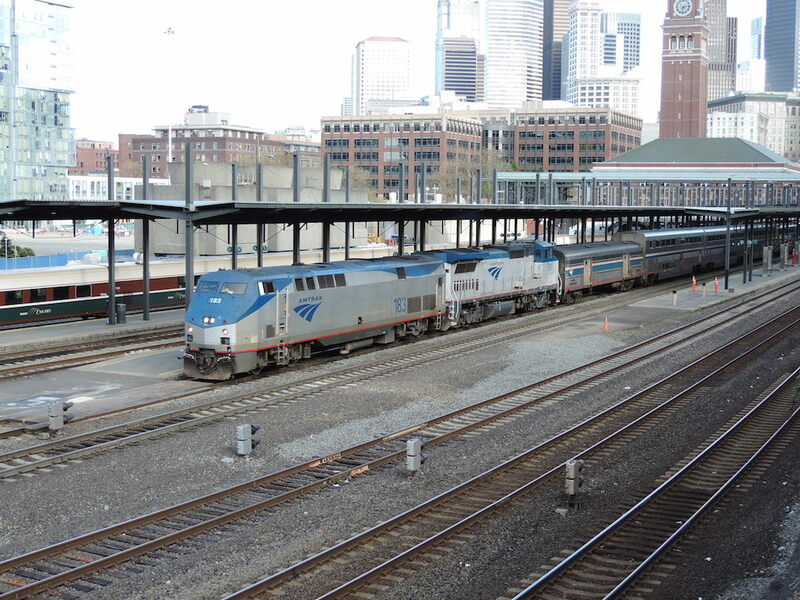 These form the backbone of Amtrak's single-level sleeper fleet. They had wanted to order far more cars, but, well, funding. 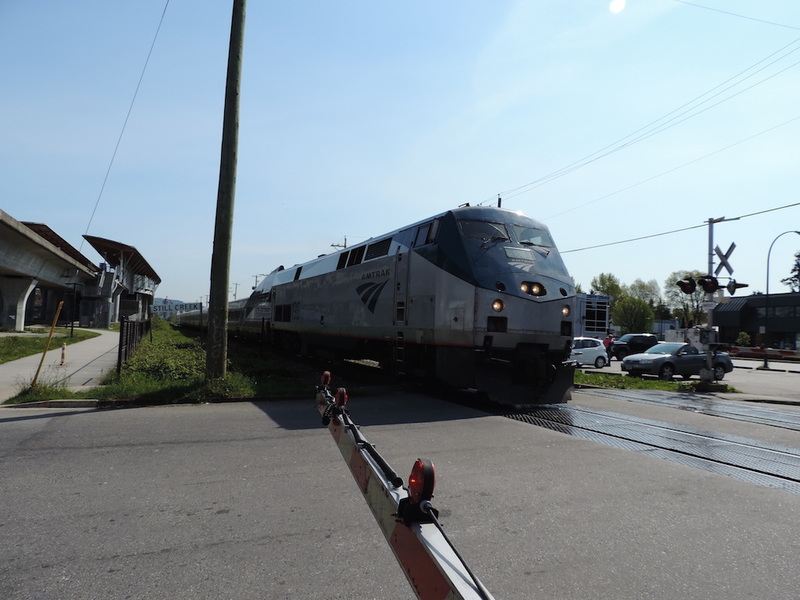 There are still options on the current Viewliner II order that can be taken for more sleepers, diners and baggage cars, and Amtrak is even looking at using the design to replace the almost 500 Amfleet I cars that are 40 years old or for a fleet of DMUs. My thinking is that if Amtrak can get some dollars for a coach order, having Viewliners replace Amfleet business coaches might help them with justification for fares (there is dissatisfaction with the product on some routes/seat configs) and allow the oldest Economy cars to retire, with new VL2 econs coming later. One issue is that Viewliner is a single vestibule design so Amtrak will need to design a 2 vestibule model for the NEC to replace Amfleet 1s. What would be the necessity for this? Operational speed during boarding/alighting?